PSA: Nextbit Will Be Shutting Down It's Smart Storage Service On March 1, 2018 - AndroGuider | One Stop For The Techy You! The Nextbit Robin was the one and only phone released by cloud-focused firm Nextbit. Nextbit touted the Robin as "the smartphone that never runs out of storage". To live up to its claim, Nextbit offered all Robin users 100GB of Smart Storage (aka cloud storage). Nextbit termed its 100GB cloud storage as 'smart' because of its ability to automatically backup photos and apps that hadn't been accessed in a while. Once backed up, the photos and apps were removed from the device, hence freeing up the storage. In case of the images, thumbnails were left on the device and for apps, grayed out icons were left on the homescreen. To access the removed apps or images, the user had to simply tap on the grayed icon or thumbnail and the Robin would then fetch the backed up app or image from the cloud. Nextbit was acquired by gaming company Razer last year and Razer recently out its first phone. After the release of the Razer Phone, Razer has slowly shifted focus from the Robin. 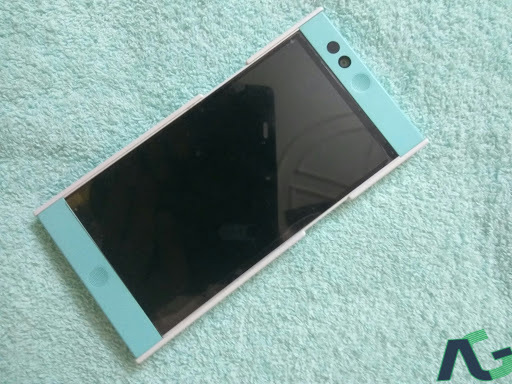 The support for Robin was called off in August last year and Nextbit shut down all its social media channels in November. Putting the final nail in the coffin, Nextbit has now announced that it will be shutting down its cloud storage services on March 1, 2018. Nextbit Robin users can either sync the backed up apps and images manually to their device or use Nextbit's cloud.nextbit.com website to download all the backed up images. In case you didn't note, the latter method will only allow you to download the backed up images and not the apps. 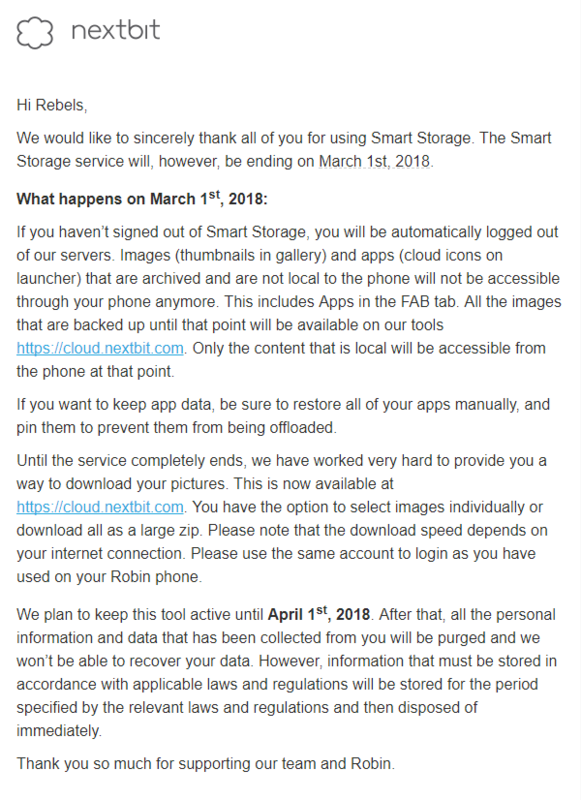 While users won't be able to access Smart Storage on the phone from March 1, cloud.nextbit.com can be accessed until April 1. Nextbit is sending out emails to all its users informing them about the shutdown.